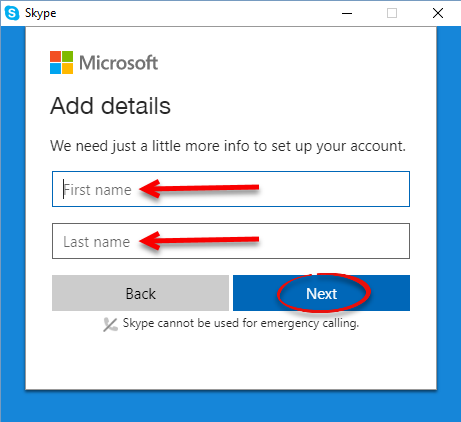 How to create a Skype account. Step 2:Click Create Account at the bottom of the window. 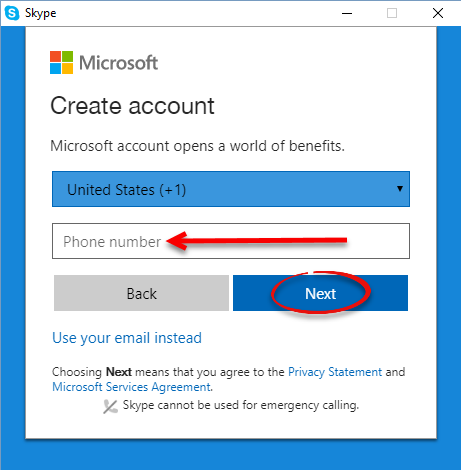 Step 3:Enter your cellphone number and click Next. 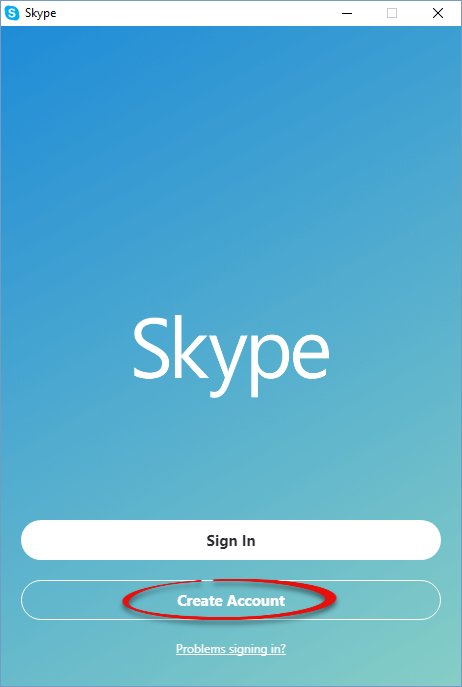 Note: You can sign in with a Microsoft or Facebook instead of creating a Skype account. Step 4: Enter your name and click Next. 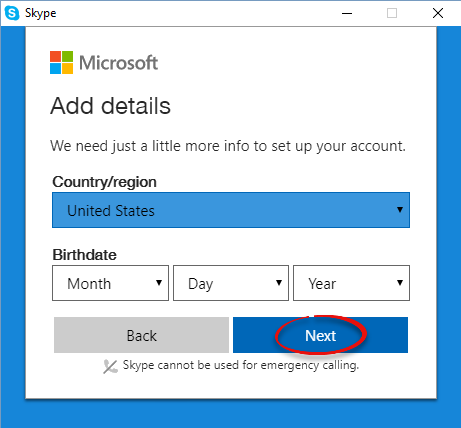 Step 5: Enter your country and birthdate, then click Next. 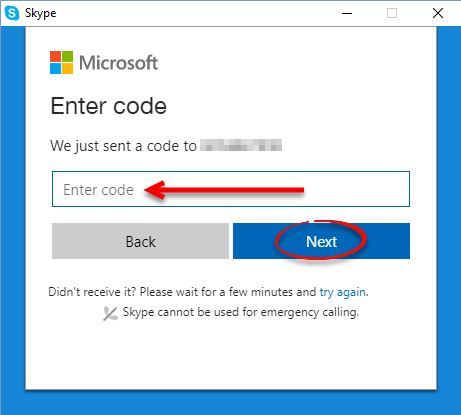 Step 6: Enter the code that was texted to you and click Next. 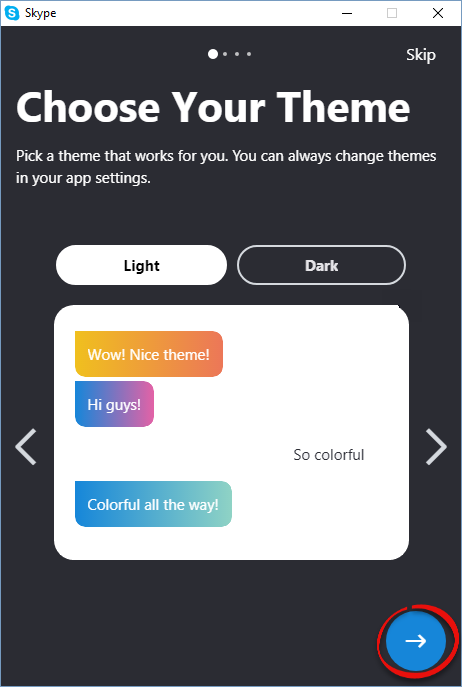 Step 7: Choose your theme and click the arrow. You can also click Skip to go straight to your account. 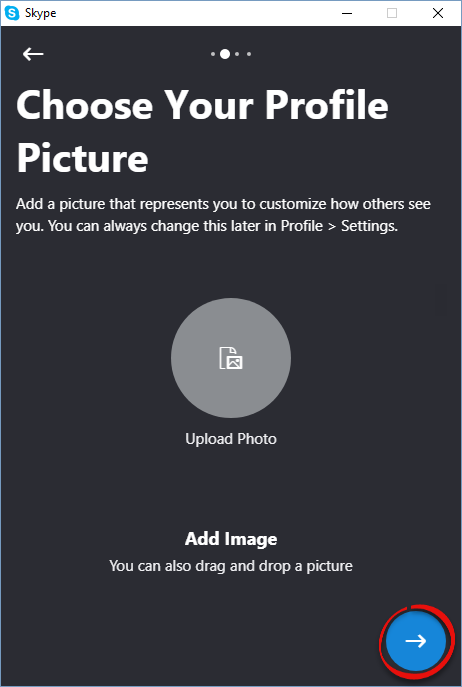 Step 8: Upload your profile picture and click the arrow. 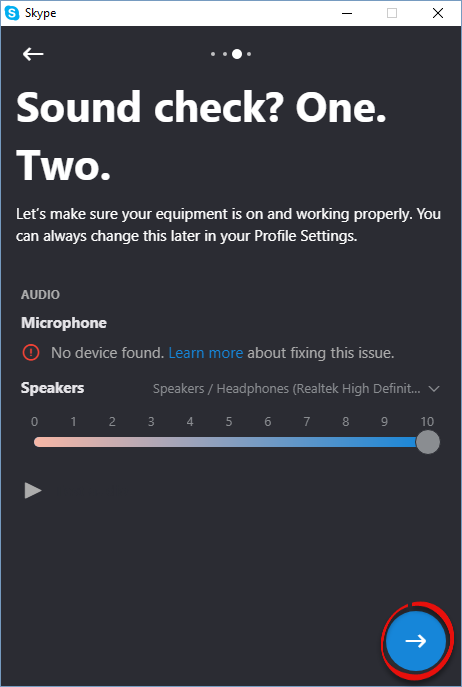 Step 9: Make sure your microphone and speaker are connected and working properly, then click the arrow. 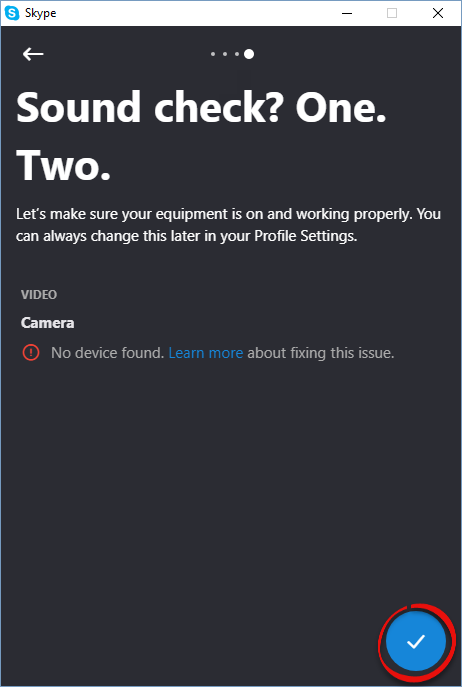 Step 10: Make sure your camera is connected and working properly, then click the checkmark. You're done setting up your account!